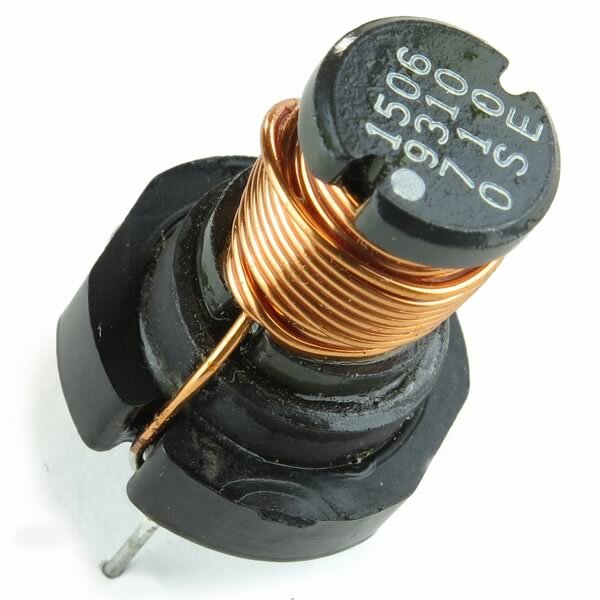 Heavy duty 50uH inductor is 1.04" high X 0.77" diameter. Has 3 pins on bottom (one is just for mechanical support). This inductor has a magnetic core. It looks like it can handle 5Amps. Resistance 0.01 Ω. Sold in a package of 2.